A top class Event prospect. Out of a lovely moving Carnival Drum mare by Heritage Nero. A chance to buy something really special. 2009 - Placed at Royal Norfolk County Show in hand. 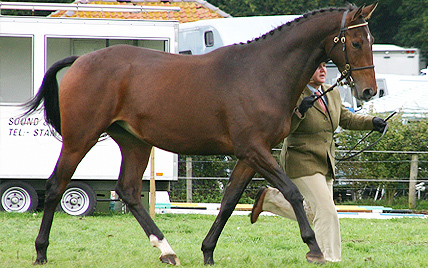 Awarded Grade 1 Premium at BEF Futurity Evaluations in the Eventing section in July 09, Also awarded Grade 2 for the Dressage Section. Awarded High Score Grade 1 Premium at BEF Futurity Evaluations in Eventing being awarded 9/10 for loose jumping & 9/10 for Frame & Build. 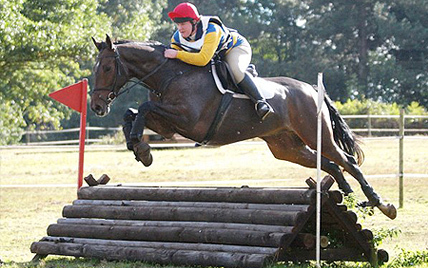 Qualified for BEF 3yr old Eventing Champs at Osberton Young Horse Champs 2010. Placed at 3yrold BEF Champs. He has three established paces and is working really well on the flat. He loves his work and has a fantastic temperament. He is very bold jumping water trays, full coloured courses. Good to box, shoe etc..
2011 - won unaffiliated dressage, Double Clear British Novice BS, 3rd first time out affiliated. A careful and bold jumper. Schooled XC and being prepared for Eventing season 2013 for debut at 6yrs. He was not evented at 5yrs as grown a lot and ground was too terrible early in the season. So he has been given time, consolodated his flat work and built confidence jumping. 2012 - jumping well BS in jump offs both outings. Been XC schooling at Poplar Park and Hellingswell. Did first event at Poplar Park - found whole experience quite exciting and had a look at first fence XC but then went round well. Competed at Suffolk Show in Sports Horse 6yr old Class jumping very well and being placed 2nd. Fit and ready to go to competition yard. This horse is lovely to ride - having a loving light mouth and is very obedient. 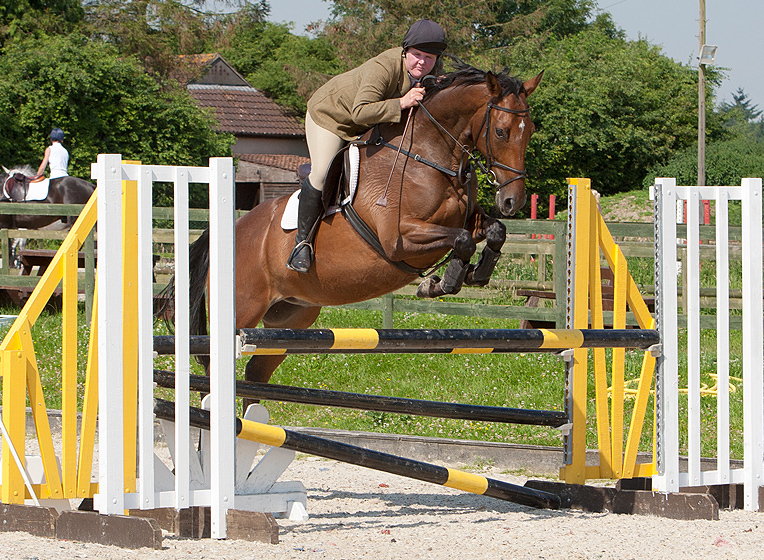 He has lots of scope and makes the jumps feel effortless. when riding him you feel you can jump the sky!